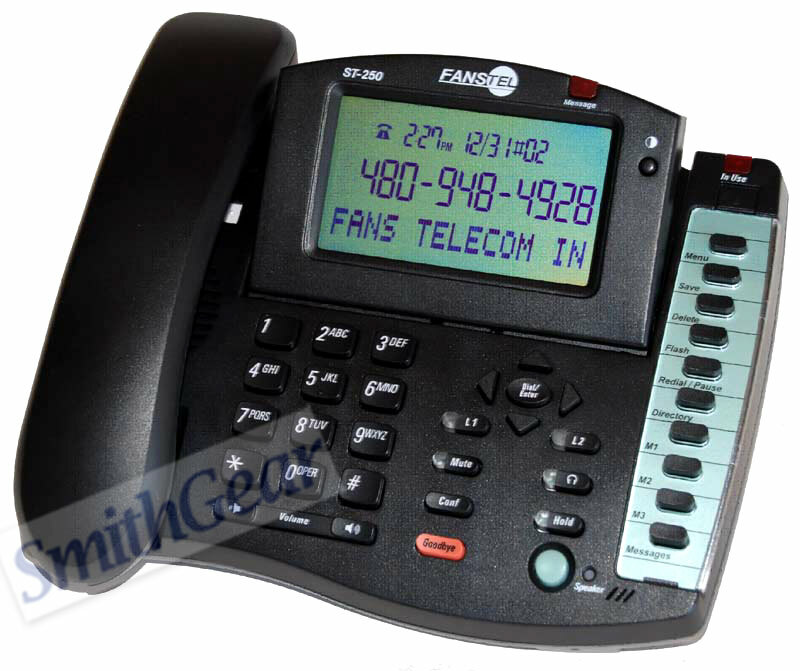 Fanstel ST250 is a sophisticated 2-line amplified business speakerphone that can digitally adjust frequency-specific volume levels so that any user, especially those working in extremely noisy environments, can comfortably and clearly hear a caller's voice. It boasts highly flexible sound settings: incoming voices may be amplified by up to 52dB with extra amplification for high frequencies. This level of amplification has been tuned to more effectively restore the perception of many phonemic distinctions common in speech than competing models. Your colleagues won't know you have hearing loss. This phone looks exactly like a normal business phone, when you increase volume it adds frequency-specific amplification automatically. The internal acoustic chamber also restores low-frequency components in the incoming voice signal, allowing the speakerphone to deliver a crisp acoustic experience one would have only expected from a high-end conference speakerphone. The huge 7.4 square inch display allows a user to read the screen comfortably even from a distance. This phone also features a quick and easy way for busy user to stay in touch - even out of the office. With a touch of a button, incoming calls can be set to be forwarded to a mobile phone (requires call forwarding service from your phone company). - Dimensions: 9.27" x 7.18"
Enjoy hands-free, clear conversations while multi-tasking at home with the Plantronics M214C headset for cordless phones. This comfortable, affordable headset includes convenient features to optimize sound for you and your callers. 25 Foot Telephone Handset Cord BLACK - Sturdy replacement cord - 25 Foot Length - Superior sound quality - Compatible with all modular telephones.